If you love watching TV offline then this is a tool for you. It is an application that comes in handy to make sure that you can still watch TV even if you do not have an internet connection. This is one of the Digital Video Broadcasting programs to make sure that you have to enhance the viewing of any TV channels. The speed in terms of performance of this application is something to love and appreciate about this tool. Other unique features of this application include the powerful components to handle the multimedia content. The interface is well organized that makes it even easier for a novice and experts in equal measure to use it. It has a vibrant recording function such that you will have access to multiple TV channels with minimal effort. If you are looking for an application that will run a full analysis of the system when it comes to streaming of TV channels then this is the best tool for you. You will not underrate the testing function of this tool, it is beyond standard. 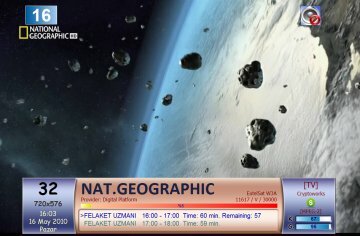 It is part from internet radio/tv player category and is licensed as shareware for Windows 32-bit and 64-bit platform and can be used as a free trial until the trial period will end. The DVB Dream demo is available to all software users as a free download with potential restrictions compared with the full version. Multimedia center to listen radio ..